Microdermabrasion is a non-invasive, skin rejuvenation procedure that works to gently remove the layer of dead skin cells from the outermost layer of your skin (epidermis). Medical peels work by removing different layers of the skin allowing damaged cells to be removed and replaced by fresher new skin during healing. Skin Needling therapy provides advanced micro-medical skin-needling, a procedure that stimulates the skin to regenerate and repair itself naturally and soundly; creating smoother, brighter, healthier and younger-looking skin. We treat acne with the aim to control symptoms by preventing new spots from forming, improving those already present, and preventing scarring. These specialised facial treatments are the perfect way to remove dry skin leaving your skin complexion smooth, hydrated and glowing. 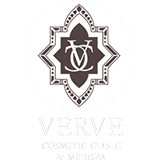 We have a range of luxury and medi facials that can be performed on a monthly basis to balance your skin and renew cell turnover. The Enzyme Peel is ideal for any skin type showing relaxed elasticity, large pores, Rosacea, hyper-pigmentation, acne and comedogenic skin conditions. The Enzyme Peel digests everything that is not living on the surface of the skin and frees the epidermis from dead skin cells and other debris, it also has the ability to penetrate into the follicle and therefore digests everything in its path. Beauty Boost Peel is an excellent choice if you have a special event to look refreshed or perfect as a course of treatments before a wedding or an Anti-age boost. This exclusive treatment energises, deeply cleanses pores, brightens, hydrates, replenishes and firms the skin. A herbal peel is similar to a strong microdermabrasion session, however the process is using herbs and not a microdermabrasion machine. The herbal peel is massaged into the skin, releasing the active herbal ingredients that will encourage the skin’s natural regeneration process. The turnover of new new skin cells is said to result in brighter, healthier looking skin.